The Cotton/Canvas Helmet Bag is an improved version of the popular military spec helmet carry bag. 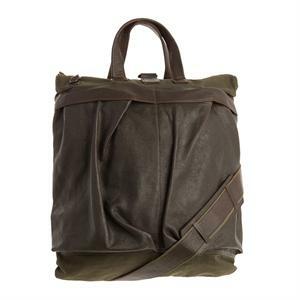 This helmet bag comes constructed from specially tanned distressed leather and flaunts olive canvas details. 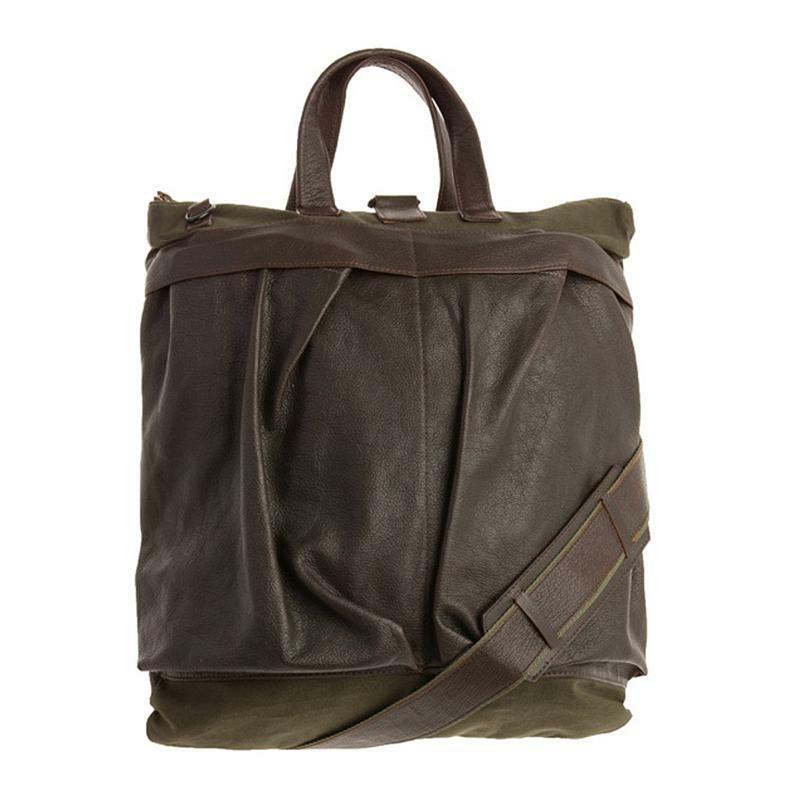 The Cotton/Canvas Helmet Bag carries a lot of storage options with a removable all leather iPad case inside and a number of pockets. Ideal for daily rough & tough handling, as also for long travels, the tough bag features a leather strap and carrying handles too. - Dimensions: 17.5" x 19.5"